Get started on this series for FREE with Rear-view Murder. Gemma knows better, and her search for answers takes her to the roughest part of town and inside the world of pimps, dirty senators, and one oddly threatening blues singer. 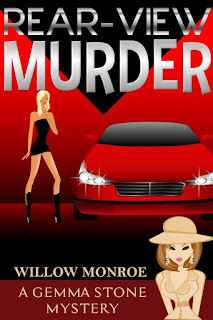 Somebody murdered poor young Opal, and Gemma is determined to catch her killer. Gemma Stone normally hates the Black Friday shopping rush, but this year she’s very excited – she and her best friend Holly have opened their very own jewelry boutique, and they’re pretty proud of it. The only downside might be that their fancy new mall kiosk is directly in front of Santa Land, the noisiest spot in the mall. 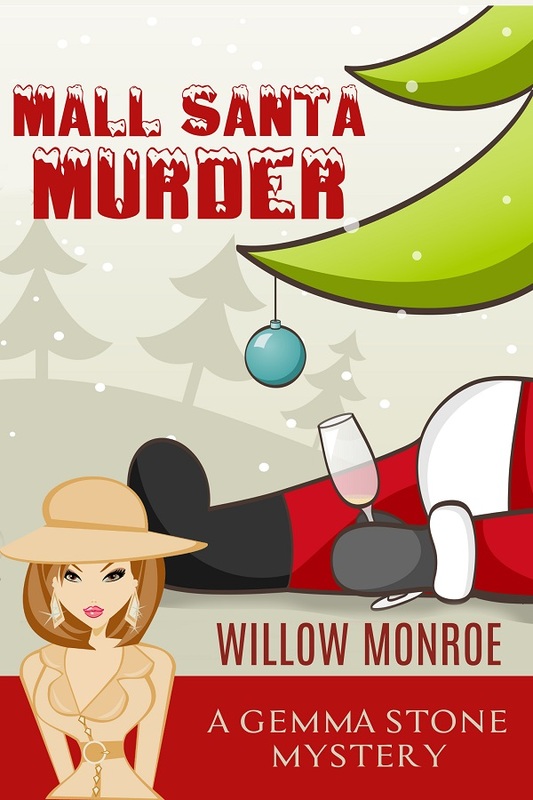 Santa is a drunk, the elves are kind of mean, and to top it off, security is left up to a wannabe cop who can’t pass the police academy entrance exam. As if that isn’t enough, Gemma discovers Santa dead, propped up against a poinsettia and strangled with garland. Suddenly everyone is a suspect, and Gemma can’t keep her nose out of police business. 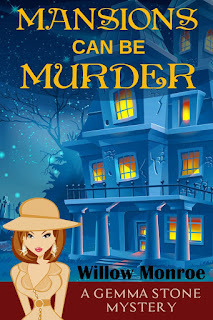 Things are getting dangerous, but even with handsome detective Ross Ferguson tracking her every move, Gemma has to solve this crime before she ends up dead. Gemma Stone is excited about being invited to participate in this year’s fitness convention at the stately Northlake Manor Hotel. It will be a boon to her fledgling HealthGems company and a great way to spend some quality time with her best friend and business partner Holly. The only glitch in the weekend plan is that when they get there, they discover that the convention center has overbooked (again). 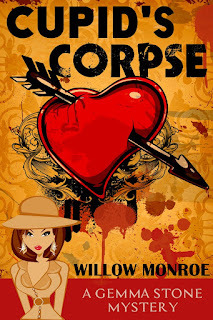 Now they have to share their space with aliens, crackpot authors, and the occasional horde of zombies, not to mention the hotel management – three unpleasant siblings who are either crazy or mean. When a four-star general turns up dead in the lobby, the chaos becomes pure madness, especially for Gemma. It seems the general was a con-man, his murderer was ingenious, and the only clue is Gemma’s business card, clutched in his cold, dead hand. Gemma Stone has a lot on her plate these days - opening a new store, hiring her first employee, and getting back on her feet after losing the guy of her dreams. She doesn’t need the added stress of finding her real estate agent dead in a closet, but that’s the way things work out sometimes. Now she’s got an ex-boyfriend hiding in her house, a witch claiming to be her long-lost relative, and a murder investigation on her to-do list. Can things get any weirder?